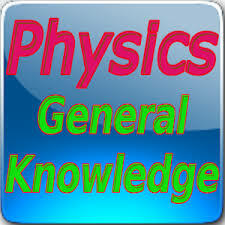 Physics related questions and answers Part 11 And Physics questions and quizzes, quiz on Physics, important Physics, important Physics and questions, general knowledge questions and answers related to general science And physics general knowledge objective questions answers are important in like RAS, IAS, UPSC, RPSC, 1st, 2nd, 3rd Grade Teacher, REET CTET, LDC, SSC CGL, IBPS, MBA, CAT, MAT, SBI-PO, RBI And Railway, Indian Army And all competitive Exams. Question. (1) Human body have normal temperature? Question. (2) The best driver of heat? उष्मा का सबसे अच्छा चालक है ? Question. (3) Whose heat tolerance is high? किसकी ऊष्मा धारिता अधिक है ? Question. (4) who is more burning? किसके द्वारा अधिक ज्वालक पैदा होता है ? Question. (5) Which is the highest standard of heat? किसमें सर्वोच्च विशिष्ट उष्मा का मान होता है ? Question. (6) The best driver of heat? ऊष्मा का सबसे अच्छा चालक है ? Question. (7) What is the transmission of heat by the molecular composition? आण्विक संघटन के द्वारा ऊष्मा का सम्प्रेषण क्या कहलाता है ? Question. (8) Which is the best conductor of heat in liquids? द्रवों में कौन-सा ऊष्मा का बहुत अच्छा चालक है ? Question. (9) What is the phase change of a substance from solid to fluid? ठोस से द्रव में पदार्थ के अवस्था परिवर्तन को कहते हैं ? Question. (10) What is the process of making Kapoor steam from Solid Kapoor? ठोस कपूर से कपूर वाष्प बनाने की प्रक्रिया को क्या कहते हैं ?